I found this cute little applique pattern and made my girls shirts to match their Halloween skirts that I made last year. I just used t-shirts I already had on hand. I made their skirts using my pattern. Luckily they still fit. Miss C. was really excited about her "hat shirt." Remember, just two more days to enter my little giveaway. Very cute! 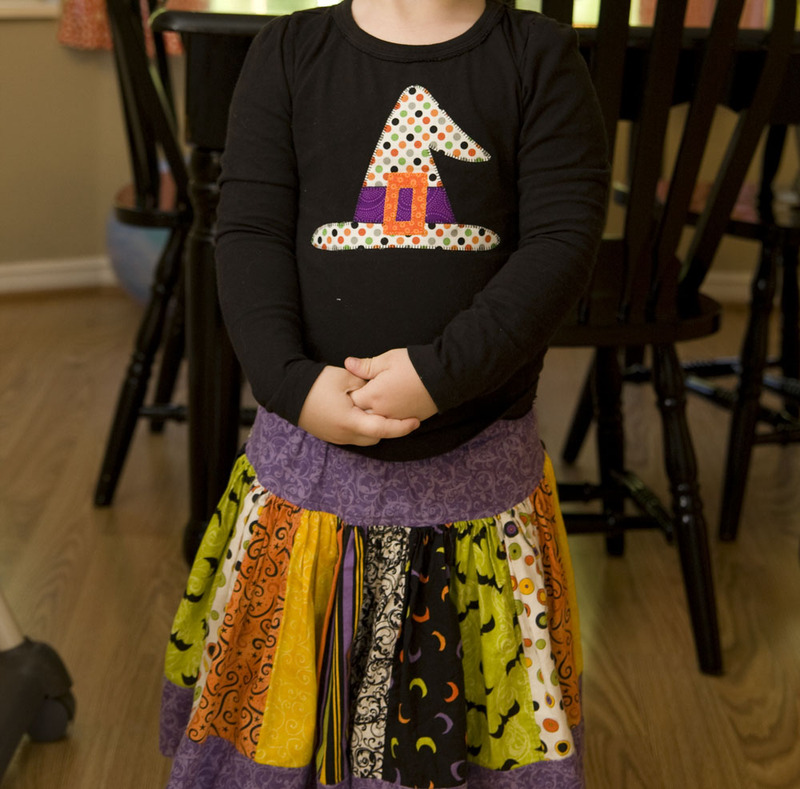 Amberlee loves her Halloween skirt -- I think that it was worn 4 days in a row last week! Ok I HAVE to make that shirt. The skirt too if I can find the time. They're lovely! both the skirts and the tops! So cute! Your girls are lucky to have such a talented mom! 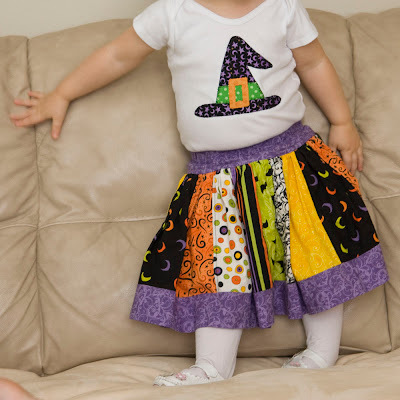 Those outfits are too stinkin' cute!